Eshe is sharing her “Get Fit” program at the Hamilton Public Library. Come & dance for free! Register at hpl.ca or by contacting the branch. Perfect for total beginners! Bring water & a sense of humor! We’re going to sweat & have fun! This community initiative reclaims spaces in Hamilton for health, wellness & fun! Join Eshe tomorrow Friday Jan 26th! — 11:30 Am – SHIMMY CHALLENGE – A shaking cardio marathon good for all levels and all ages. 30 minutes. — 1:00 PM – BELLYDANCE CRASH COURSE – A fast and fun family-friendly Bellydance class. All levels and all ages. 30 minutes. Prepare for Bellydance Bootcamp! This is my jam and such a FUN class! If you want to sweat, work hard, challenge your brain and body, you will not be disappointed after this class! Opening with a focused warm up, digging deep with Dance conditioning, and Drills drills drills that will make your head spin in the best way possible. Providing tools for creating strong, intentional, skillful dancers from the ground up! 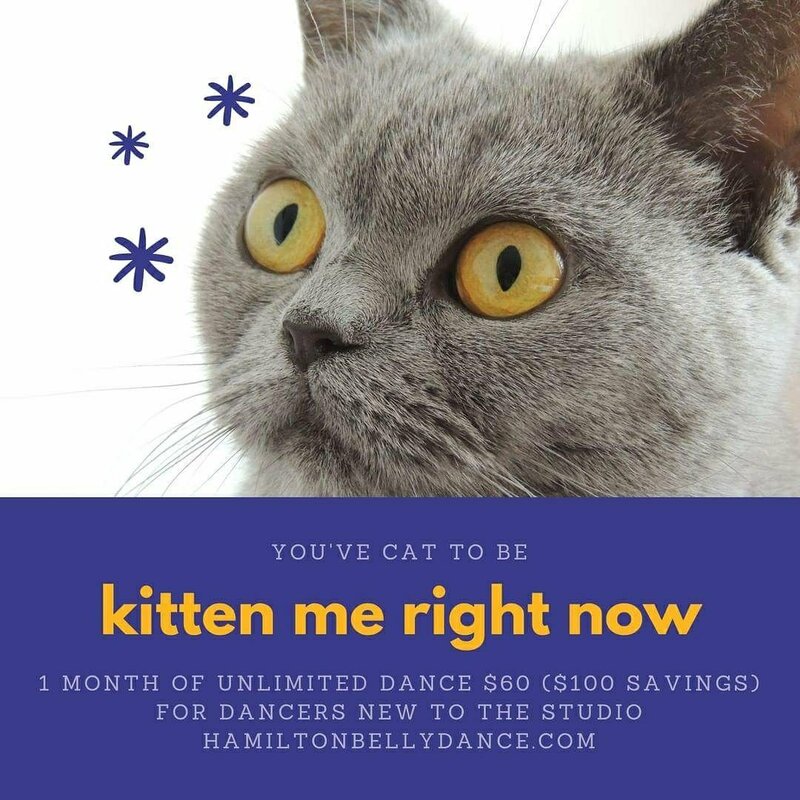 This high energy class will leave you with a sense of accomplishment and a much deeper understanding of posture, alignment, fundamental technique and timing! All skill levels welcome! Please bring a yoga mat, water & finger cymbals. The focus here is slowing down the technical material we covered over in the 1st workshop and adding your own spice to the mix! Fun across the floor movement exercises will challenge the brain, help inspire new movement to and guide you to smoother transitions! Closing the class, We will cover a saucy little number you can take away! No experience is necessary as this class will benefit beginner-advanced students! Taking both workshops is encouraged but not required! 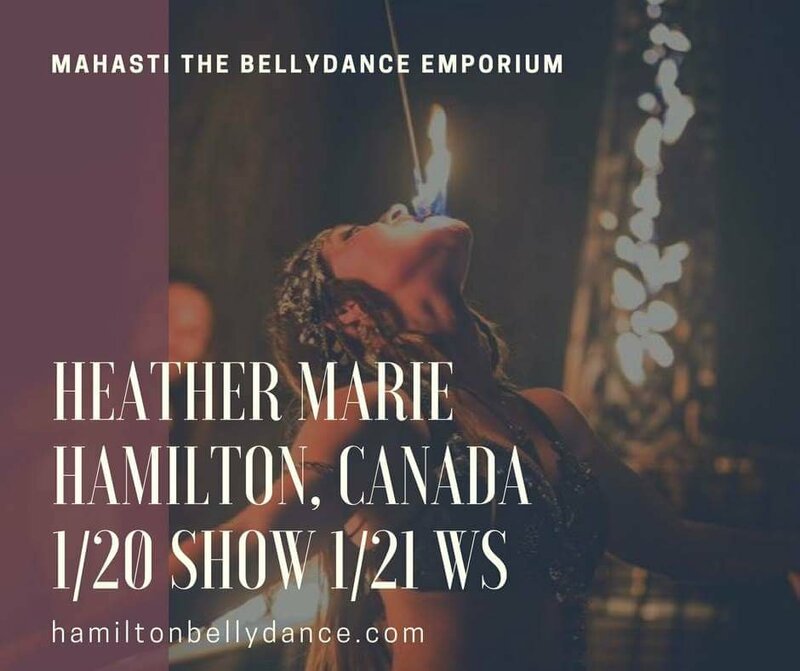 Heather Marie is based in the Detroit area and discovered her love of Middle Eastern Belly Dance in 2002. She is a Fat Chance® Belly Dance Sister Studio certified in GS, TT1 & TT2, within American Tribal Style® belly dance. She is Co-Founder and Artistic Director of her performance ensemble, Izgreyala. Her unique style has various influential flavors from American Tribal Style®, Tribal Fusion, Flamenco, Rajasthani Desert Dance, Folkloric, Classic Modern Egyptian and Gypsy, in addition to Hip Hop/Pop & Lock and Liquid Dance from the early 90s electronic scene. Intensive studies include Mira Betz, Rachel Brice, Kami Liddle, Jill Parker, Zoe Jakes, Carolena Noriccio, April Rose, Heather Stants, Unmata and Zafira, to name a few. Spicing it up, she also dabbles in the Circus arts, to which she is an Insured Fire Performer and well versed in partner Acro-Balance. A seasoned performer, Heather Marie can list opening for Beats Antique as well as Thomas Dolby. Performing in full stage productions, such as Club Belly Dance with the Belly Dance Super Stars, Torch with a Twist, the longest running Detroit based vaudevillian variety show, and Dakini Circus among her many accomplishments.